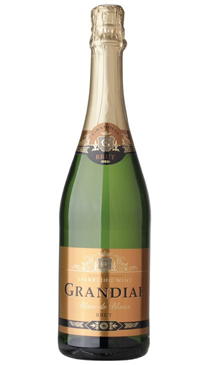 Grandial offers a tasty and affordable alternative to other sparkling wines. This is a fresh and clean style sparkling wine from the Bordeaux region. Made from Colombard and Ugni Blanc grapes. It is fruity, yet dry, with fine bubbles and a crisp finish. Makes a great aperitif or reception wine for large events.